After coming back from Belize and trying to sun kiss my hair, my hair was so unhappy. She wasn’t bouncy any more, she had no definition, neither was she responding to anything I applied. 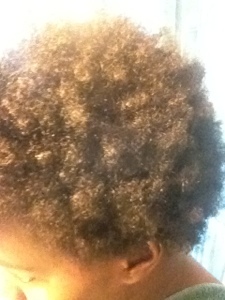 So I decided to do another ACV Rinse to restore my hair’s moisture and make her happy again!! 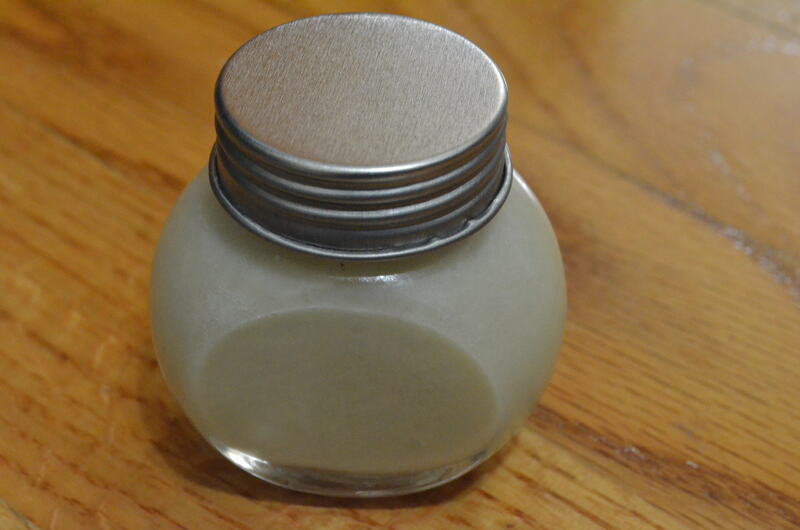 You can check out how I do my vinegar rinse in my DC Chillin’ post. She was happier and much more bouncier. 🙂 Yeahhh!! 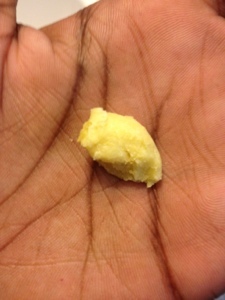 After rinsing out my hair with cool water I applied some Shea Butter to seal in the moisture. 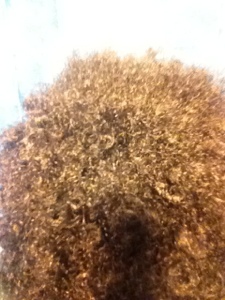 These were the final results all dried, moisturized, curly, and coily. Just felt the need to stop by and thank you all for continuing to be supporters of Aphrodite Kinks. I totally appreciate it and love helping you all through my trials and errors with my own journey. I hope that I have been able to help you all and continue to do so. This has definitely been a journey for me. I am not going to say that I have all the answers, because I don’t. Though, of you have a question I try my best to get you answers. Hope that you all stick around and enjoy. I will soon be posting up my experience while on my last vacation. I experienced lots of changes in my hair. I will also be posting my experience with the ColourMeBeautiful contest winning. I am working on gathering more information on transitioning for my fellow transitioners. I know it is a process. I am a FASHION & BEAUTY lover, Model, and Entrepreneur. I have been natural for almost 3 years but I did a second big chop a few weeks ago. I transitioned for 3 months then did the BC. I chose that route because I was curious to see myself with a head full of kinks and coils. I had never experienced it before so I decided to take the plunge and do it. I transitioned for about 3 months. Curiosity! lol. My older sister and a good friend of mine went natural and I told them I couldn’t give up on relaxer plus my hair was growing. 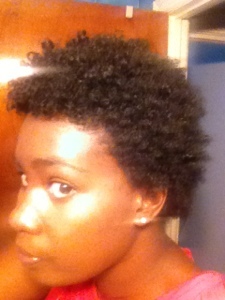 However, I started to get bored and I decided that I would try and since then I have been natural. I guess once you go natural, you don’t go back. My boyfriend. He reminds me everyday how he loves my hair natural and doesn’t want me to go back to relaxers! Only 2? It is hard because I am a product junkie. lol. 1.Water. 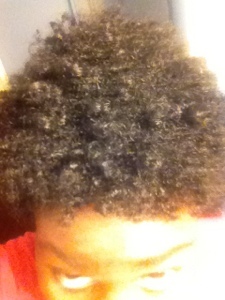 My hair get thirsty so easily but once I give it water, it feels hydrated and it is more manageable. 2.Shikakai bar soap. 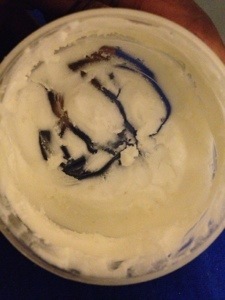 Cleanses my hair yet keeps in the moisture. My favorite way to wear my hair was in a high bun but since I did a second big chop I rock a braid out all the time. Its Versatility! oh boy! 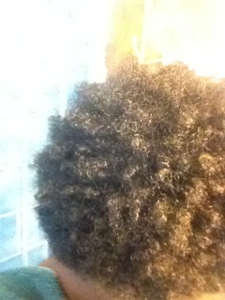 I can rock so many styles when my hair is natural. I can even have it straight ( not too often though!) and still come back to my kinks. 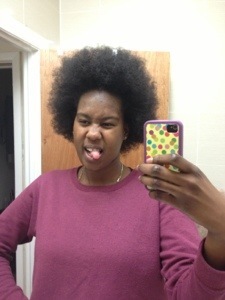 However, when my hair was relaxed , I could never go back to my kinks for some fierce twist/braid out or a FRO! One size does not fit all. What works for me might not work for you. It is all about trials and errors. 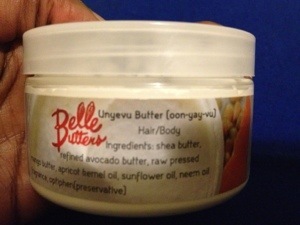 If you are having difficulties with your natural hair, do some research. There are plenty of great youtubers, blogs, and website that can assist you in achieving your hair goal. Be sure to also check out Larissa on People.com as a Winner of the PEOPLE’s Real Beauty Contest. Can you say Gorgeous! Natural Hair is growing in the media ladies and gents.